Academic excellence coupled with knowledge beyond the texts, to sculpting promising individuals of tomorrow, SVIS – Sree Vidyanikethan International School, Hyderabad, believes in decorum, courtesy, self-discipline and honesty. We offer unparalleled and equal facilities encompassing everything from sports, recreational spaces to E-classes. We make sure the students get the best of our highly qualified and experienced teachers who pour in their teaching aptitudes to deliver the CBSE, IGCSE, A/AS level syllabi in a simple yet eminent form. The students are enabled to get accustomed to the nuances of technology and thus be independent learners. Managed by the versatile actor, Dr. M. Mohan Babu, the institution was established in the year 1993. His passion for promoting education came from his father, Sri Narayana Swami Naidu, who was a teacher and a headmaster in Chittor district of Andhra Pradesh. SVIS is also a part of the gigantic educational institutions tree – SVEI. The SVEI group of institutions runs exceptional group of learning institutions that deliver excellence at every level. One such astonishing space is SVIS in Tirupati. Dr. M. Mohan Babu and the trust members culminated the idea of making SVEI- Sree Vidyanikethan Educational Institutions, the center of higher learning, one that would be open to all, irrespective of nationality, religion or social background. SVEI still is loyal to the principles, despite the enormous transition from a student body of merely 216 to nearly 10,000 students with a multi-fold increase of 10 to 350 full time faculties. SVEI now has to its pride one school and five colleges. The dynamic learning along with exceptional mentoring offered, SVEI promises brighter years ahead with unmatchable knowledge earned. Preparing students for facing real life situations by fostering scientific temper and values. Enhancing students’ self-esteem and igniting their curiosity and imagination. Realizing students’ potential through multi-disciplinary curriculum and helping them emerge as wholesome personalities. Our vision has been a constant strive to be recognized as one of the Nation’s premier schools with our potential being the highest order of excellence in teaching and learning. Sree Vidyanikethan has always been an institution that has taken up the cause of furthering education and propagating knowledge. But at the same time, we focus on the child’s value-system as much as we value academic excellence. More so as we evolve with time …. Sree Vidyanikethan has always been an institution that has taken up the cause of furthering education and propagating knowledge. But at the same time, we focus on the child’s value-system as much as we value academic excellence. More so as we evolve with time, we are constantly adapting global best practices to nurture generations of students who can surpass the expectations of the world in its ever-growing competitive environment. Vidyanikethan is a destination for almost every stream of professional education. The trust has schools and professional colleges across several disciplines and is a complete institution for children who are keen to arise successful. We look forward to welcoming your child so we create a world your child is prepared for. A post graduate in English and a graduate in Science along with a Bachelor’s degree in Education, a PG Diploma in Systems Management; has more than 25years of experience in teaching and administration.Worked in premier institutes of education and served CBSE, ICSE and Regional boards in the capacity of a HOD, Vice-principal and Principal. Domains of expertise: Administration, teaching, academic content development, master trainer insubject enrichment, class room management, strategic planning for school leaders and teachers. Holds frequent interactions on parenting and conducts workshops and counselling sessions for students on behavioral patterns, wellbeing & living, assignment and study exam preparation, open & bright future, etc. Editor and Chief Editor for school magazines and newsletters from school level. Key resource person in affiliation and general administration process and drives CBSE sahodaya complex meets and conclaves. Highly accomplished professional with the ability to identify growth opportunities and manageoperational matters within non-profit organizations. Skilled in driving academic improvement,governing schools, executing strategy, and implementing missions. Adept in building and motivatingtop performing teams, enhancing operational effectiveness, and leading organizations through criticaltransitions. Trained in Bharatanatyam and music (Veena & Vocal) brings confluence of performing arts into all levels of school curriculum. Associated with NGO’s and leads social awareness programs such as Hara Banao campaign (Go green), panel and jury academic member on child abuse, educate a girl child, help age for orphans and spastics, etc. A post graduate in Mathematics and English with a specialized B.Ed. including Moral & Spiritual Education along with Math and Physics methodology subjects from one of the most reputed College RIMDR, Mysore. He is also certified by University of Cambridge London for teaching AS/A Level Mathematics for Cambridge Students; has more than 25years of experience in teaching and administration. 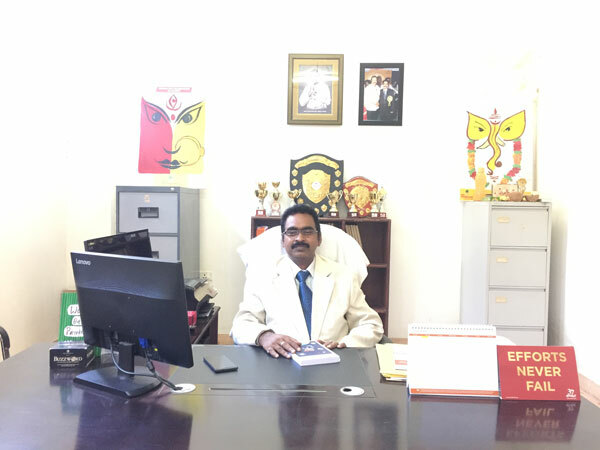 Worked in exclusive institutes of education and served CAMBRIDGE ((IGCSE, AS/A), CBSE, ICSE and AP, TS boards, in different capacities and altogether 11 years of experience as Principal/the School Head. Domains of expertise: School Administration, teaching Math, Physical Sciences, and content development in the above said subjects, Trained mentor in subject enrichment, classroom management, strategic planning for school leaders and teachers. Expands interactions on parenting and conducts interactive sessions and counselling sessions for students/parents on behavioral patterns, future studies and for making a brilliant future. Wellbeing& living, assignment and study exam preparation, open & bright future, etc. Worked as Chief Editor for school magazines and newsletters from school level. An author for a famous article called Essential Mathematics for the different ages. Resourceful in affiliation and general administration process and drives CBSE and other boards. Very well versed in planning and execution of the same. A proficient in building and motivating the best performing teams, enhancing operational effectiveness, and leading organizations in an effective manner. Participated in many workshops conducted by the State Govt, CBSE, IGCSE and Pearson group of private publications. Good at sports and games and also named for the events to conduct at schools.Associatedwithfew NGO’s in eradicating the child labor and also taken the lead in National green corps. Widely participated in CBSE workshops. The potential of human race is ‘almost infinite’. We believe that every individual is potentially a genius. If this incredible potential is tapped the result can be a quantum leap in learning, an enrichment of every part of life. SREE VIDYANIKETHAN INTERNATIONAL SCHOOL, believes that Genius is your birth right. It is up to every child to claim it by his/her efforts. The richer and more integrated your personality is, deeper and wider would be your learning. We enable you voyage through this journey. The minds of the modern era are becoming storehouses of multiple complexes. They need to get out of the clutches to be able to adapt to various methods which prepare them to face the dynamics of the changing world. In this changing scenario to face these challenges it is a need that the learning hubs enable them to equip with the superhuman strength. True identity is only found in creative activity springing from within. It is found when one loses oneself. The key is not the will to win, everybody has that. It is the will to prepare to win that is important. Modern educational system and book learning alone is not going to help them in facing the world. This very fact made us realize the need for a holistic education that enables the individual to become strong from within to combat with the external obstacles. In this process we strongly assert on confidence building with perseverance and tremendous will. We strive in metamorphosis of the individuals to learn to be bold at what they stand for and careful what they fall for. Success comes to those who work hard and stays with those who don’t rest on the laurels of the past. As long as you can envision the fact that you can do something, you can do it—as long as you really believe in 100 percent. In this race of quality there is no finish line. It is strongly believed that every child of this century is potentially divine either in one or other field. There are parents that they wanted to see that their child is prospering by all-round development. Here at SVIS, my basic responsibility lies in empowering the children by 21st century skills along with the strong foundation of academics. 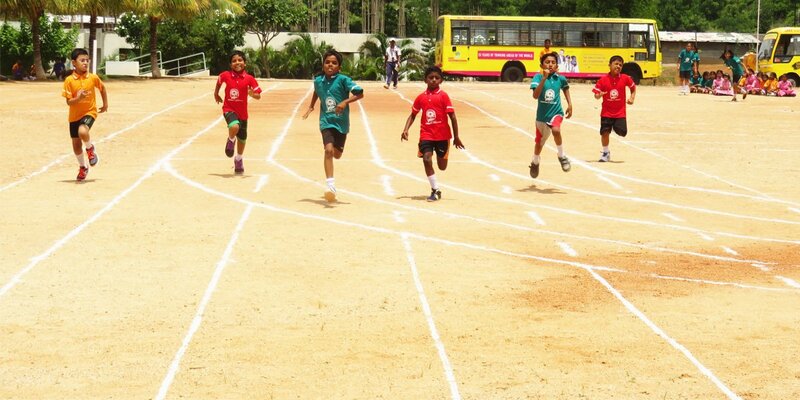 Here, we make a platform for every child to cherish and flourish so that any challenge of the life can be easily faced. Now a day’s technology is ruling the world. Our children would be the masters at technology and be making use of it in an effective manner. In coming days, all the children will face the different competitive examinations which are may be of state, national or International levels. Every child is nurtured to become good at least one of their favorite sport/game. Every child should become master in spoken language, with presentation skills. My basic responsibility lies in enforcing the discipline and the culture among the students at Sree Vidyanikethan International School, Hyderabad. Our students would be the global leaders who inculcated the Indian traditional values. At Sree Vidyanikethan International School, we always strive for the best practices to follow and also to implement to get the laurels to the students as well as to the parents. Regular interactions with the parents will be done for understanding each child so that a blend of teachers and parents will work in coordination to make every child is as a good learner. At SVISHYD, all children will get enough opportunities to perform what they really are. 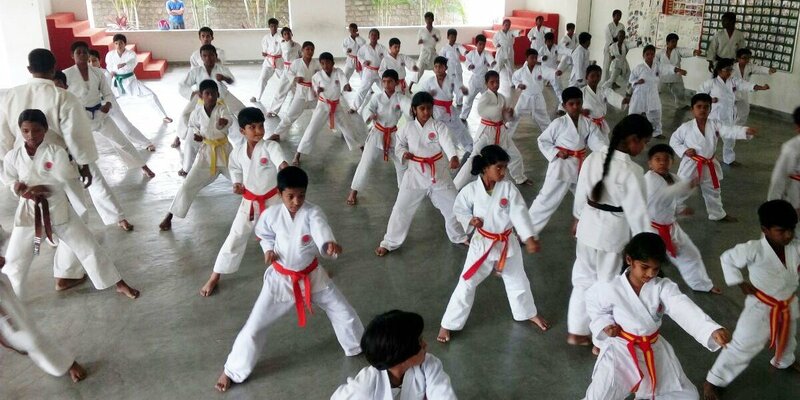 Undoubtedly, every child will be directed towards Right Discipline, Indian traditional Moral values, Strong foundation of Academics, usage of proper Technology, Physical activities for mind, soul and body. The ultimate goal is to make every child of SVISH, a perfect humane.